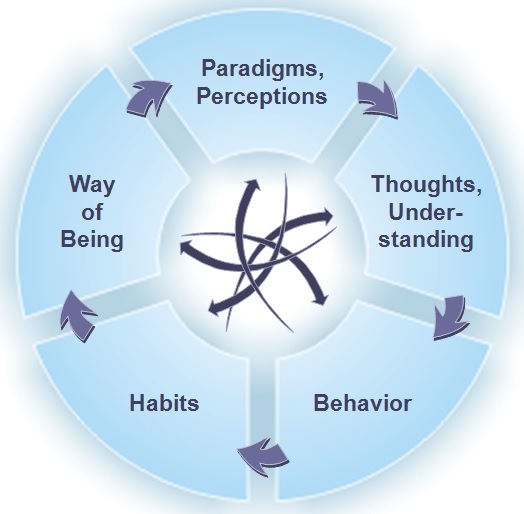 Paradigm Shift: How can we change a system or mindset? These epic case studies illustrate one point – life doesn’t advance smoothly or evenly from detail-to-detail, day-to-day. Life leaps from paradigm-shifting-moment to paradigm-shifting-moment, for e.g. : Kaikaku (radical change) on the gemba (shop floor) like Intercultural challenges, value stream maps, etc. Each of these metaphors has its own flavour and I am attempting to showcase that achieving substantial impact is possible by changing if we change our mindset. The condition of changing our mindsets holds, I think, for our purpose. So let this be our footing as we move forward into the journey of paradigm shift leading to transformation or achieving operational excellence goals. But how do you change a system or mindset? We may think it will take an avalanche, but really what’s needed is a gradual movement towards the goal by doing some improvement daily!!! Organization or Employees who have never started or taken the path of Paradigm shift because of lack of inspiration or vision obviously have failed or the growth has become stagnant over a period of time. Categories: Article | Tags: Kaizen, Kaizen College, Kaizen Consultants, Kaizen Institute, Kaizen Institute India, Kaizen Simulation games, Kaizen training, Lean, Lean Consultants, Lean Consulting, Lean Manufacturing, Lean six sigma, Operational Excellence, Six sigma, Six Sigma Consultants | Permalink. Author: Kaizen Institute - India! Kaizen Institute – India is part of the Global Kaizen Institute operations. Kaizen Institute was established by Sensei Masaaki Imai, the GURU of Kaizen. He wrote the 1st book 28 yrs ago and that is when it all started . We operate in 30+ countries today and have over 400+ coaches helping more then 600 organizations Learn, Apply, Sustain – Kaizen/ Operational Excellence. In India we have two physical offices – Pune & Ahmedabad and 27 coaches in all. “Zero Defect Zero Effect” from a vision to actions!